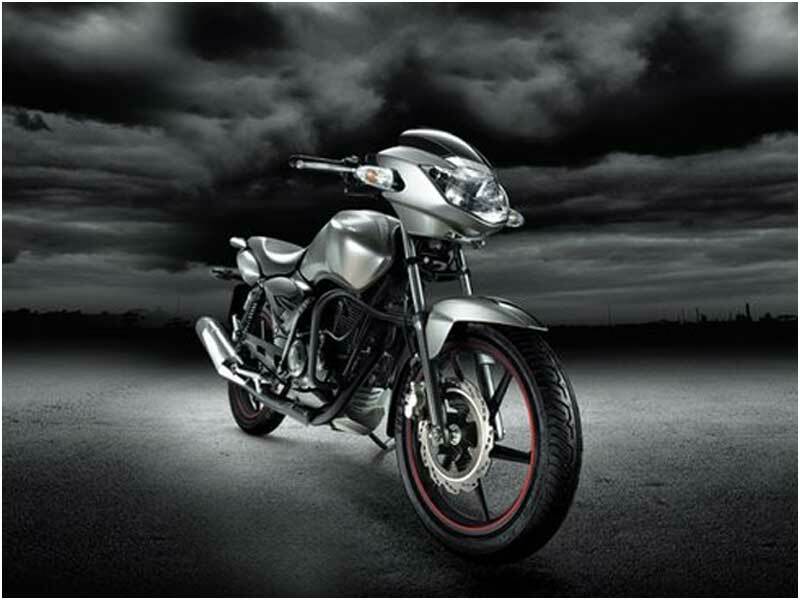 TVS Apache 160cc is an aggressive bike with significant improvement, smashing looks and comfort. This review gives its features, technical specifications and the price in India. Apache RTR 160 (Racing Throttle Response) is a machine with 15.2 bhp engine and it comes with a slew of first-time features showing its high performance enhanced by the TVS racing technology. This bike really shows the aggression to pit against its rivals. The attractions of Apache RTR-160 cc are the handling ability, ride quality, seating position, adjustable handle bars and the longer wheelbase. The previous flaws of the Apache 150 have been ironed out. The New Apachi RTR 160cc is available in two variants - kick start and self start. RTR-160 Apache employs a smooth, powerful and an improved engine over the Apache 150. The engine remains smooth without any significant vibrations till 5000 rpm and it is an oversquare 160 cc compared to the earlier 150 cc square engine. There is an increase in maximum power from its earlier 13.5 bhp to 15 bhp, the highest in the 150-cc segment. The new Apache has undergone major changes to up capacity from 147.5 cc to 159.7 cc. RTR uses short-stroke for quicker revving. This air-cooled and twin-valve unit has received several internal tweaks, including inlet and exhaust ends, clutch and gear processes as well as the combustion chamber. The gearbox remains a five-speed unit, with one-down and four-up shifting pattern. The stripe which runs from the front mudguard to the tank and finally to the tailpiece is the striking feature. RTR160 has a 270-mm petal shaped front disc. The engine has been given an all black treatment along with alloys and exhaust. A small engine guard is nestled at the bottom of the engine. The side panels have a matt black plastic finish. The bike also sports a digital speedometer. The tail lamp has bright LEDs. A split grab rail, clip on adjustable handlebars, aluminum finished brake levers and the toe operated gear shifter are all enticing features. The wheelbase has been stretched to 1300 mm from the earlier 1260 mm. It also features standard tachometer, clock, trip meter, fuel gauge odometer and the aircraft-style fuel cap. Apachi RTR-160 cc looks smashing and is definitely one of the best looking bikes in the country. Apache RTR 160 has rear set foot pegs. The low handle bars translate into a very comfortable riding position. Compared to the earlier version, the new Apache gives a more comfortable riding position. 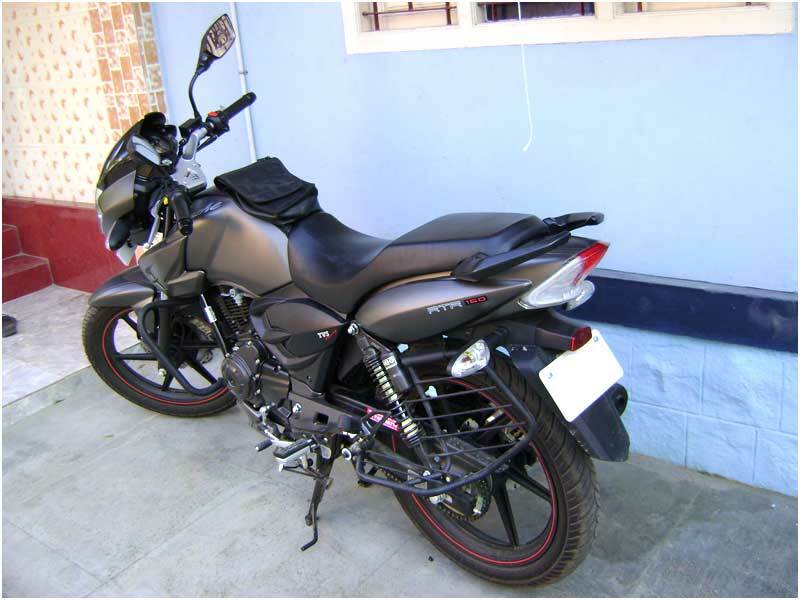 It is a great bike to zip through the busy city traffic without any discomfort. It sports disc brake in the front which is phenomenal and drum in the rear which is a welcome addition. The handling of the bike gives an amazing feeling with all the improved features. Backed by a high powerful engine and loaded with the new EFI (Electronic Fuel Injection) technology, TVS Apache 160cc delivers a decent mileage of 45-50 kmpl. 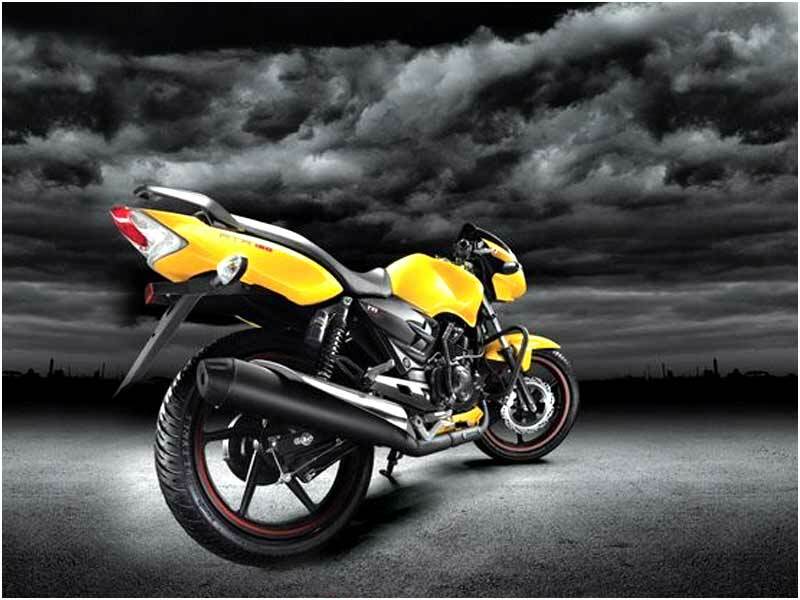 TVS Apache RTR 160cc is available in Yellow, Matt Grey, Red, Black & Silver.